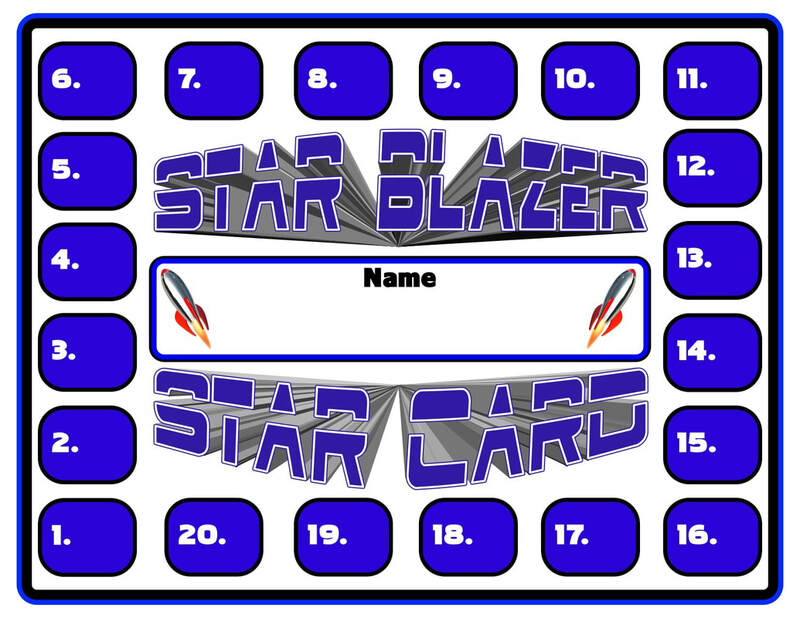 I have an idea to use what I call "Star Blazer Star Cards" to motivate my students to achieve certain accomplishments in Physical Education. 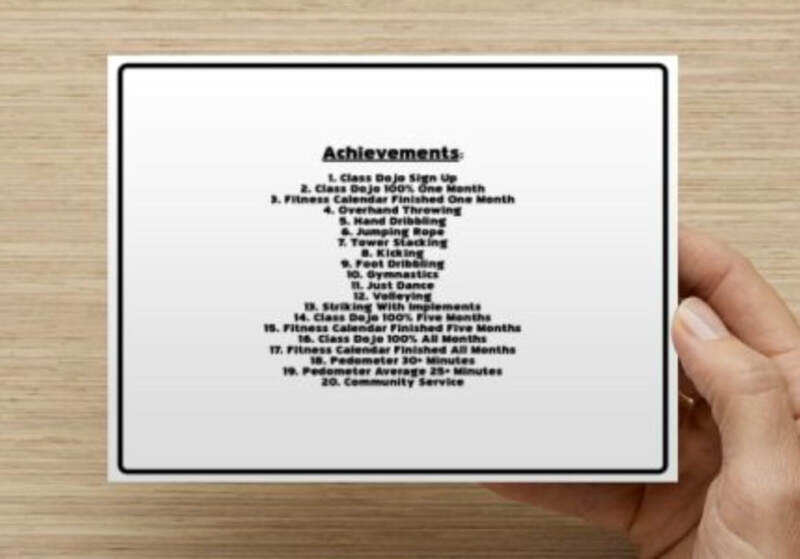 Below you will see the cards I created. They are post card size and were produced by the Vistaprint website. 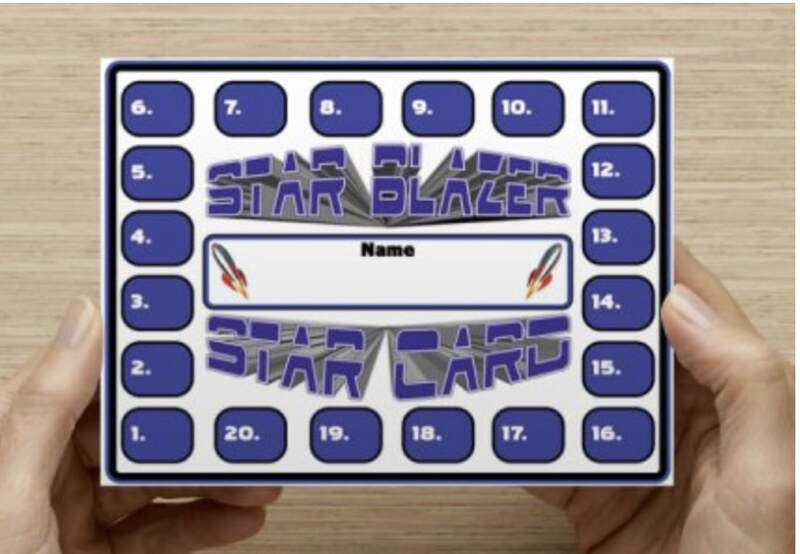 I also have a star shaped hole punch that will be used when a student accomplishes an achievement. 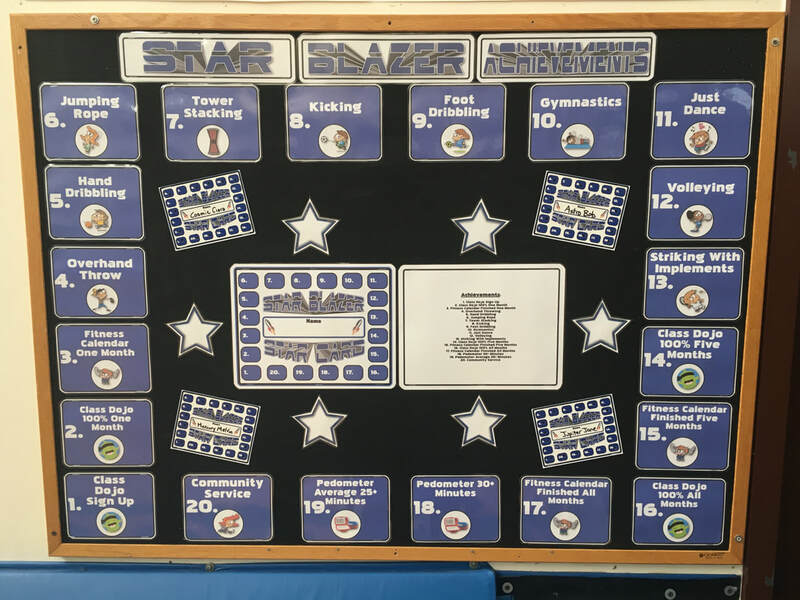 All of the physical activities will be broken up by K-2 and 3-5 grade levels. 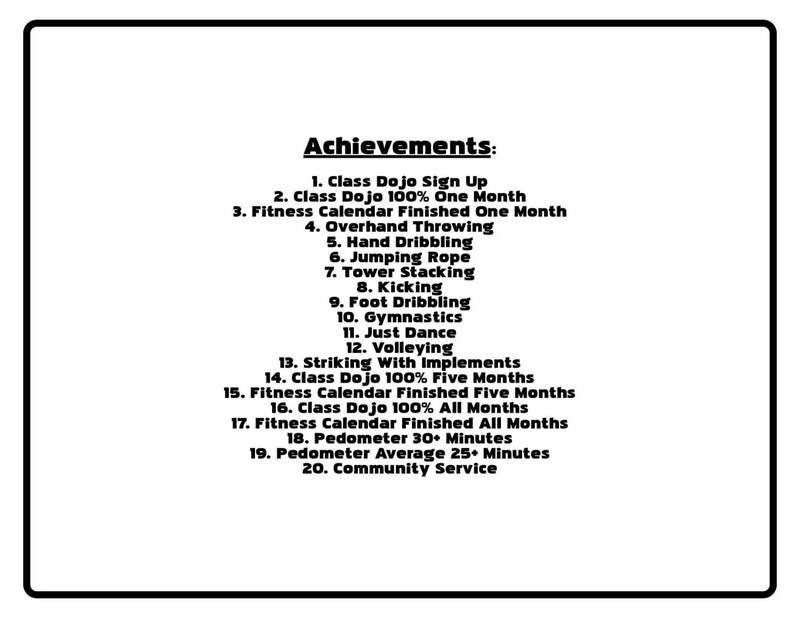 Other activities are for all students in grades K-5.